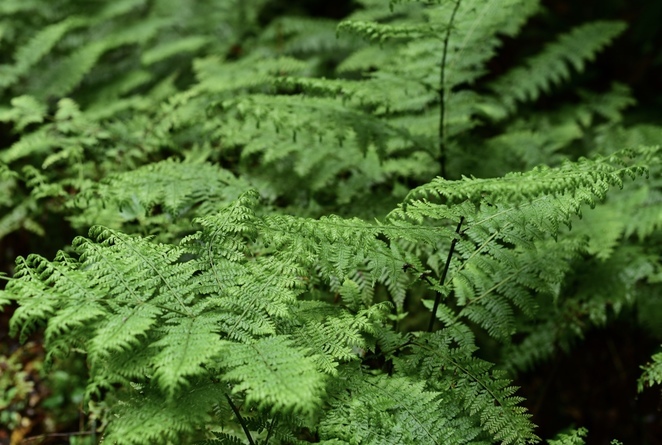 Escape the heat amongst the Valley of Ferns in Mt Wilson, Blue Mountains National Park. Image by Jade Jackson Photography. On a hot day, Sydney beaches are crowded and it's often impossible to find a carpark. Then there's the sand! Escape the summer heat by heading up, into the Blue Mountains. The higher you go, the cooler it gets and on average, the temperature in the Blue Mountains is five to ten degrees cooler than Sydney. In less than two hours, you could be standing underneath thunderous waterfalls, surrounded by bush. Some even have natural swimming holes! There are also refreshing rainforests to explore and nothing beats standing on a shady cliff-top, as a eucalyptus filled breeze rises up from the valley floor. Lawson Waterfall Circuit. Image by Jade Jackson Photography. 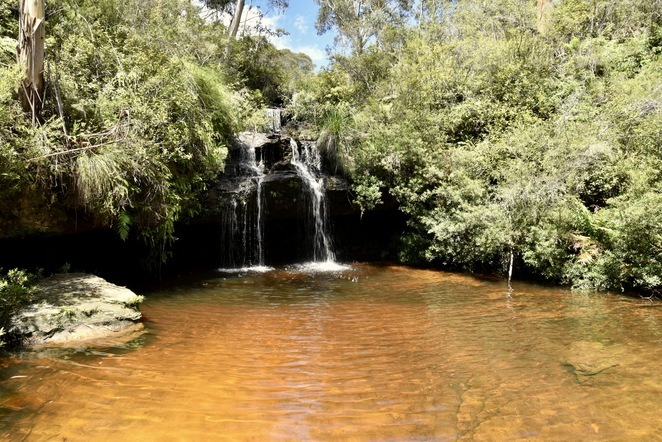 Cool off in numerous creeks and natural swimming holes like JellyBean Pool in Glenbrook, Blue Pool in Glenbrook ($8 parking fee applies within the National Park in Glenbrook), or Weeping Rock in Wentworth Falls. The creek that feeds into Weeping Rock and Wentworth Falls, perfect to cool off hot feet. Image by Jade Jackson Photography. If you're looking to take an easy bushwalk to kickstart your new year health goals, then check out Frederica Falls which has a small swimming hole, or the Lake Woodford Bushwalk, which is great for mountain biking. 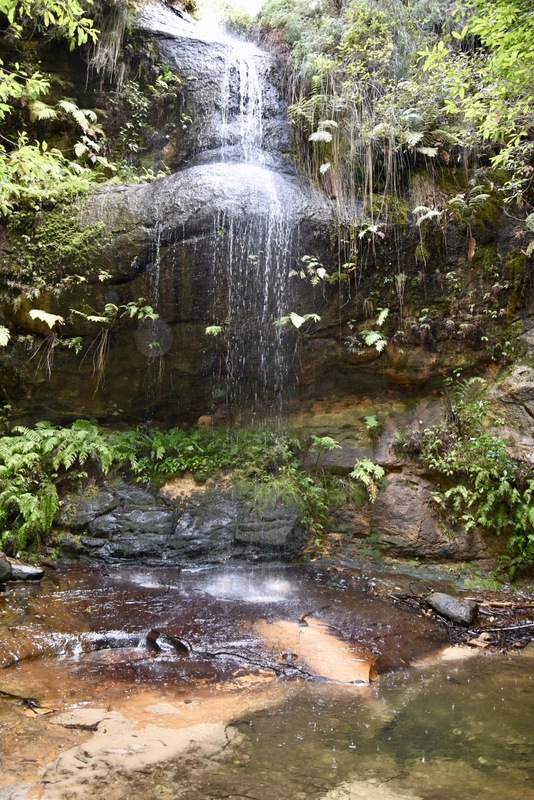 Most bush walks in Hazelbrook (Terrace Falls Walk), Lawson (Waterfall Circuit), and Bullaburra (Red Gum Park/Minnatonka Falls) feature creeks and waterfalls you can stand under like a cooling bush shower. 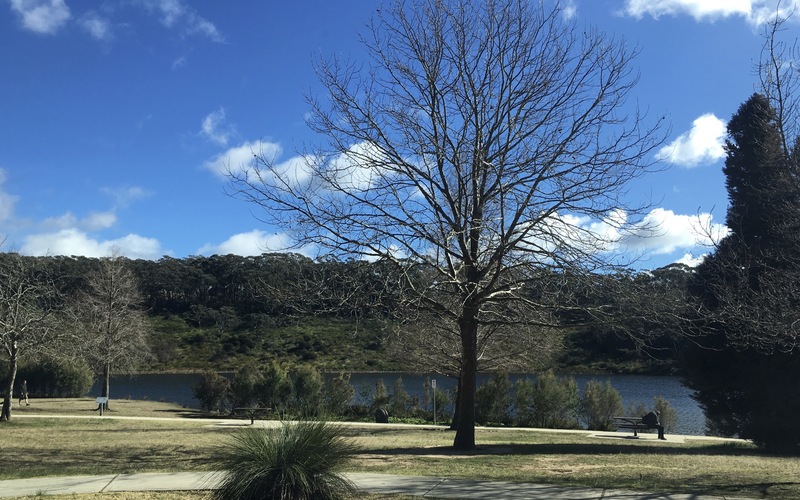 If you have kids, then they'll love Wentworth Falls Lake which features two excellent playgrounds, and on the bush side of the lake, there's a small beach which is a popular with locals to swim (the water is cleaner on this side). There's a tree with a swing rope here, and you can park on the bush side of the lake on Waratah Road. Wentworth Falls Lake. Image by Jade Jackson Photography. After you've cooled down, there's a thriving new foodie scene opening up in the Blue Mountains with Pho Moi, 8 Things, and some of the best pies around can also be found here. Katoomba and Blackheath are known for their antique shops, Leura for its beautiful homeware boutiques, but there's one shop which you won't find anywhere else - Odd Mountain, which features bizarre and often macabre collectibles, including artwork by murderers, ancient medical instruments and taxidermy bats. On less busy bushwalks, it's common to see goannas, plenty of birds like black and white cockatoos, rosellas, and as recent as November last year, koalas have been spotted in Little Hartley (on the other side of the Blue Mountains, towards Lithgow), as well as in the Jenolan Caves Valley. 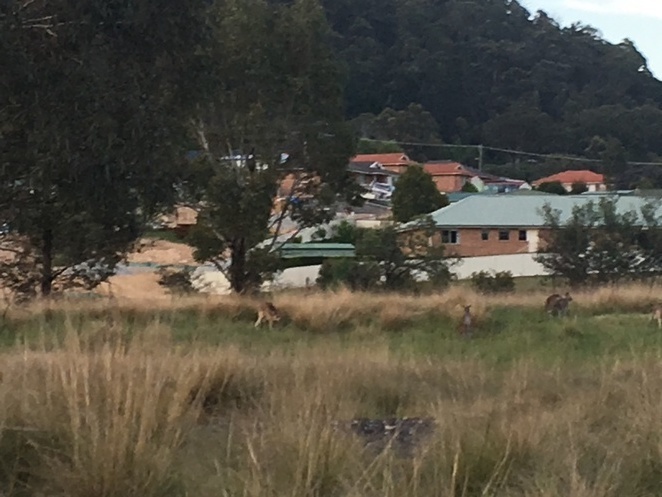 The urban streets and grassy paddocks, adjacent to bush around Lithgow, are excellent spots for seeing kangaroos (just after sunset) as is Mt Wilson. If you still need inspiration, head up to the Blue Mountains, then watch the documentary - Mountain, which attempts to answer the question, why do we feel the need to visit high places? A question only answered by going up, to surround yourself with wilderness. The Blue Mountains is more than just the Three Sisters and Echo Point. Each town has its own unique history, bushwalks, and restaurants. The Blue Mountains is also home to the second largest canyon in the world, with the largest variety of bird life in the Southern Hemisphere, and it's not the Jameson Valley you see from Echo Point - it's the Capertee Valley. Over summer, there are often storms late in the afternoon in the Blue Mountains. 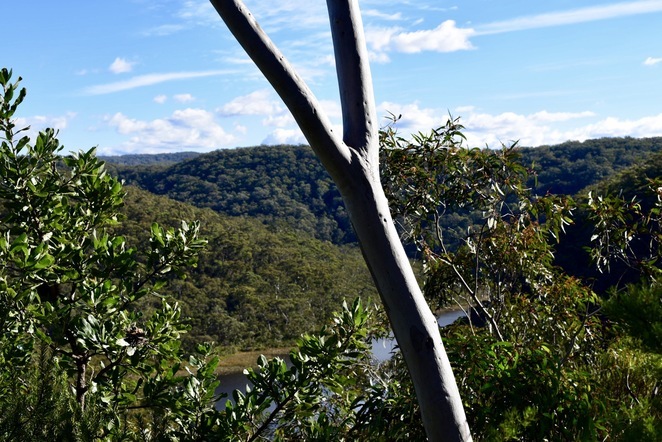 For ideas on other lookouts (some you don't have to get out of the car for), check out the best Blue Mountains lookouts for a rainy day. Lake Woodford. Image by Jade Jackson Photography. It's possible to do the mountains as a day trip, but there's so much to explore that you'll be more relaxed if you stay a few days. There are accommodation options throughout the mountains including Springwood, Faulconbridge, Wentworth Falls, Leura, and Lithgow. Even if you've stayed in Katoomba before, avoid the crowds and stay elsewhere, taking in the real ambience of the Blue Mountains. From 5 star boutique hotels with day spas on cliff-tops to Bed & Breakfas's hidden amongst bush, to eco-backpackers near bushwalks and budget motels, there are accommodation options to suit everyone. There's still plenty of availability over summer, including public holidays. 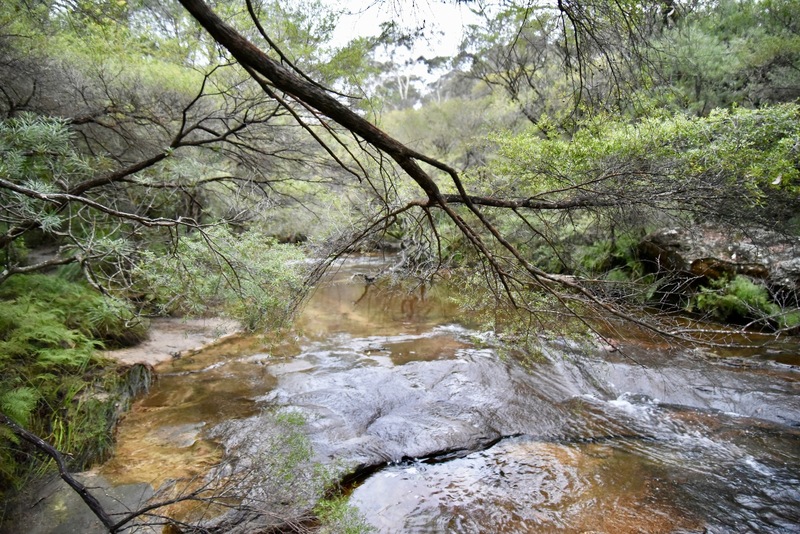 There are several free campgrounds in the Blue Mountains, including Bulls Creek (between Linden and Woodford) just off the highway. It has limited facilities and is starting to become busy on weekends. There's a paid campground in Katoomba and Blackheath, as well as several bush camping spots, though most of these require walking to get to. Check out the National Parks website for further information. Lookout at Blackheath, Blue Mountains. Image by Jade Jackson Photography. Bring sufficient water for each person in your group (a 500ml bottle is not enough for a long walk on a hot day). Weather in the mountains can change dramatically, check conditions and be prepared. Even when it's sunny, heavy downpours are common in the afternoon in Summer. Know what time sunset is and plan to have completed your walk before sunset. In the valleys, it can get darker, well before sunset. It's a good idea to fill out a Trip Intention Form at Springwood or Katoomba Police stations, or the National Parks office in Blackheath. It's not worth risking your life, for a selfie. Don't climb over fences and don't stand on cliff edges - too many tourists seriously injure themselves (or worse) by falling off cliffs trying to take selfies. Often there's no cell phone reception on bush walks so use apps that you can download maps for offline use, or pick up a physical map at the National Parks offices at Echo Point or in Blackheath. There's plenty of gear you can purchase from multiple outdoor shops at the bottom of the hill on Katoomba Street and Macpac has a permanent clearance section in their basement. The Blue Mountains is built along the train line and each stop is attached to a village or town. Trains run hourly and many attractions are within walking distances from train stations. The M4 motorway will take you all the way up, and over the Blue Mountains. For a more scenic option, you can take the Bells Line of Road which goes via the apple orchards of Bilpin, the Mt Tomah Botanic Gardens, and Mt Wilson Garden village. Allow a full day with stops to do this route. There's a local bus network, throughout the mountains, which you can use to get to Scenic World (bus stop outside Woolworths supermarket). Even if you've been to the Blue Mountains before, there's always something new to discover from bushwalks, to waterfalls, to shops and restaurants. Find respite from the heat, this summer, in the Blue Mountains. Frederica Falls and swimming hole in Lawson. Image by Jade Jackson Photography. Why? It’s close to Sydney, there’s lots of waterfalls to cool off under, & it’s spectacular. Phone: (02) 4787 8877 - National Parks & Wildlife, info about bushwalks. Cost: Varies but bushwalks are FREE! Well done with the gold, Jade! Your roos are on their heads - I think you need to rotate your pic! 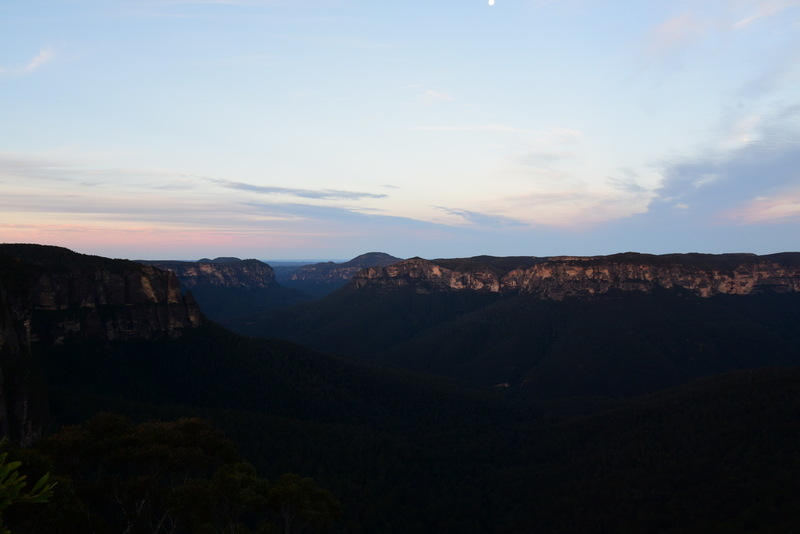 I've never had the pleasure of visiting the Blue Mountains but photos attest to its beauty.